Kohlrabi is a versatile vegetable that requires very little time and skill, making it easy to prepare. The bulb, stems, and the leaves of this plant are edible! They can be fried, baked, roasted, added to stews, stir-fries, and even eaten raw! Make sure to wash and trim off the ends of your kohlrabi when you get them from your local farmer's market. It is optional to peel the outer coating, but most people prefer to peel it because of the thick and rubbery texture. 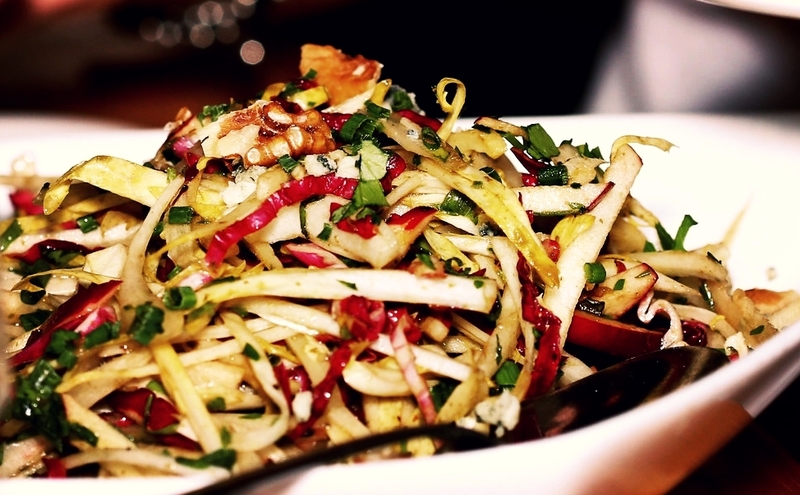 Learn more about Kohlrabi and its health benefits! 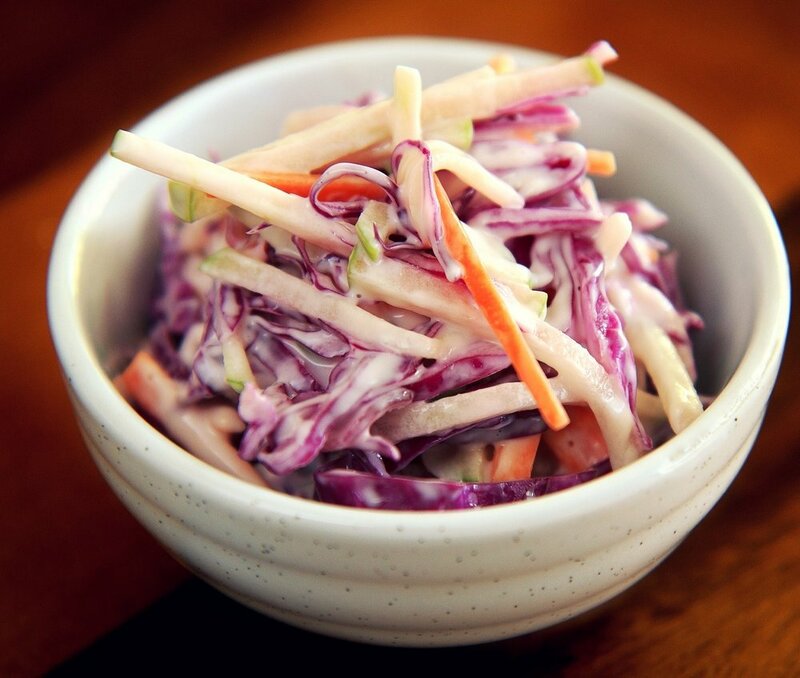 Add more color to your slaw by including purple kohlrabi! Shred vegetables in a food processor or box grater. In a bowl, whisk together apple cider vinegar, sugar, mayonnaise, and salt. Reduce the calories in your fries by baking instead of frying! Preheat oven to 425 F. Line a baking sheet with cooking spray. Wash the kohlrabi and trim off the leaves. Slice into quarters, then into fries about 1/2" thick. Place the kohlrabi fries on the baking sheet and drizzle olive oil over top. Season with salt and pepper as needed. This 3 or more ingredient recipe is perfect for introducing kohlrabi to kids! Cook kohlrabi in boiling salted water for about 30 minutes, or until soft. Drain. Drain drizzle with olive oil and top with chopped parsley. Puree with heavy cream and butter in food processor, immersion blender, or potato masher. 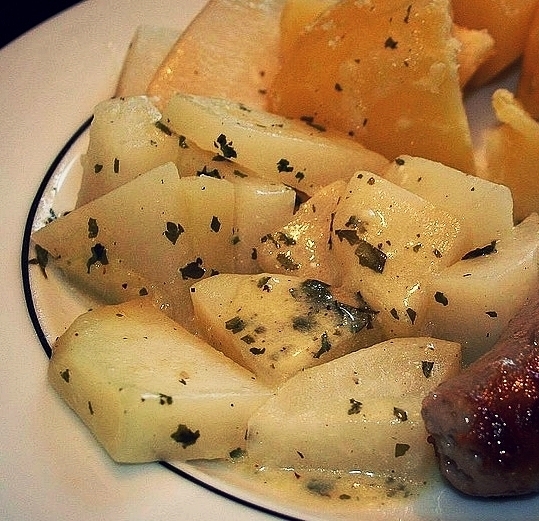 This hearty dish is great for the entire family! Personalize it by adding your favorite veggies! Preheat oven at 350°. Cook kohlrabies and carrots in boiling water, reduce heat; cover and cook for 15-20 minutes or until tender. Drain well; set aside. Sauté onion in 2 tbsp butter until tender. Stir in the flour, salt, and pepper until blended. Gradually whisk in milk. Cook and stir for 2 minutes or until thickened. Remove from heat. Stir in the vegetable mixture, parsley, and lemon juice. Transfer to a baking dish coated with cooking spray. Melt remaining butter over medium heat. Add breadcrumbs; cook and stir for 2-3 minutes or until lightly browned. Sprinkle over vegetable mixture. Bake uncovered for 20-25 minutes or until heated through. Serve this dish with your favorite protein! Cook kohlrabi and onion in butter over medium-high heat until almost tender. Stir in kohlrabi leaves and cook until wilted. Add heavy cream, and cook for a few seconds. Shred the kohlrabi, carrots and garlic in a food processor. Heat the olive oil in a large skillet over high heat. Add the tomatoes and shredded vegetables. Sauté for 3-5 minutes. season with salt and pepper. Add scallions, parsley and lemon juice. Simmer for 10 to 15 minutes. Try these other amazing recipes featuring ingredients from local farmers.